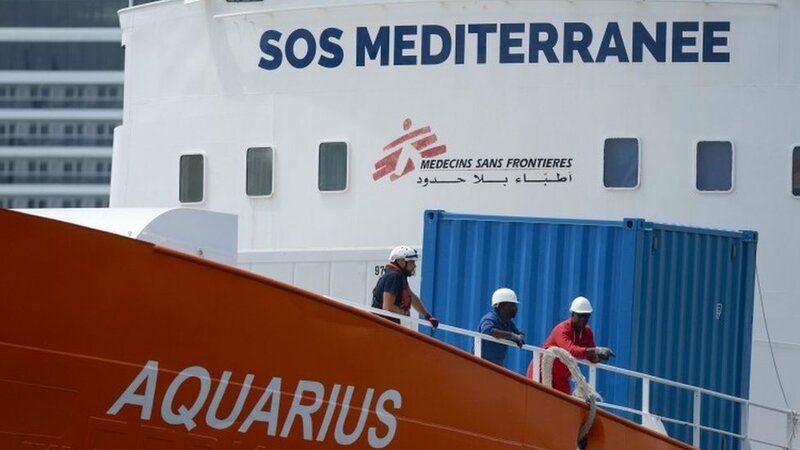 Doctors Without Borders (MSF) says it has been forced to end rescue operations in the Mediterranean carried out by the vessel, Aquarius. 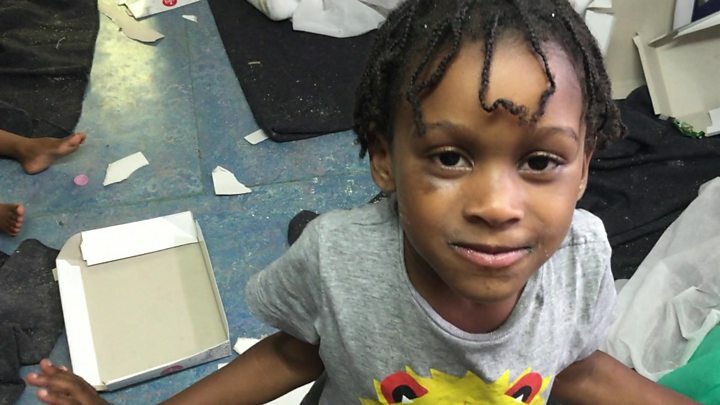 The medical charity blamed “sustained attacks on search and rescue by European states”. Aquarius has been stuck in Marseille since its registration was revoked. It has helped save migrants making the dangerous crossing to Europe from Libya and elsewhere but has faced strong opposition, particularly from Italy. Interior Minister Matteo Salvini has accused charities running rescue ships of collaborating with human traffickers operating out of Libya to run a “taxi service” to Italian ports. 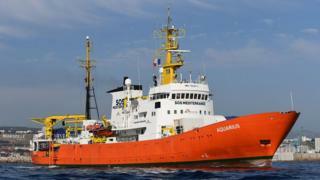 Aquarius had been the last charity rescue ship still operating. The Aquarius: Migrant taxi service or charitable rescuers? 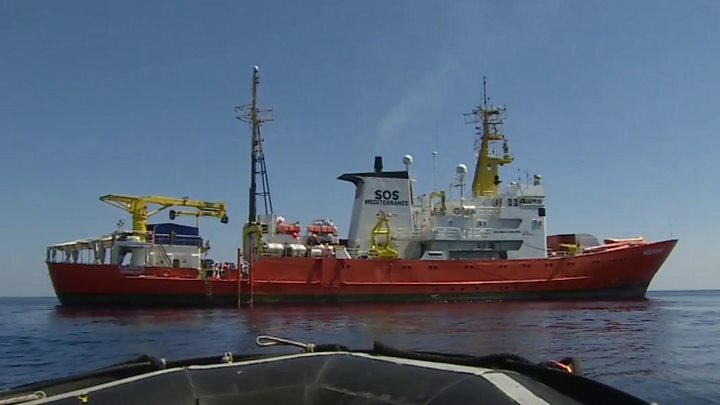 Announcing the decision to end its operations, MSF said EU countries, spearheaded by Italy, had failed to provide enough dedicated rescue capacity of their own, then had actively sabotaged the efforts of others trying to save lives in the Mediterranean, the BBC’s Europe correspondent, Damian Grammaticas reports. In a tweet, MSF Sea said “sustained attacks” by European nations “will mean more deaths at sea, and more needless deaths that will go unwitnessed”. Aquarius has been laid up in Marseille for months, after Panama revoked its registration – citing intense political pressure from Italian authorities. A de-flagged vessel cannot legally set sail. Italy has kept up the pressure. Last month, prosecutors called for the seizure of the Aquarius over the alleged dumping of potentially toxic waste in its ports. MSF called the move “unfounded and sinister”. Migrant numbers reaching Italy have fallen significantly this year amid moves to dismantle smuggling networks in Libya and increase coastguard patrols. International Organization for Migration (IOM) data says more than 2,000 people have died or are missing making crossings this year, compared to more than 3,000 last year. The Aquarius began operations in 2015 and came to worldwide attention over the summer as Italy closed it ports to migrant rescue ships, leaving the ship stranded at sea with people rescued from the water. Hundreds of migrants were eventually allowed to disembark in the Spanish port of Valencia in June, after being turned away by Italy and Malta. Italian policy is that migrants discovered at sea should be returned to Libya by that country’s coastguard.